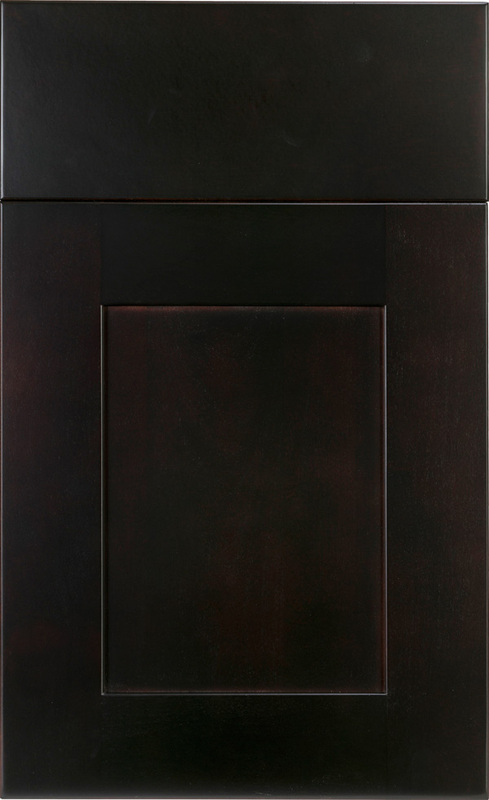 This style’s rich espresso finish highlights the wood grain of the solid birch it’s crafted from, bringing depth to any kitchen’s decor. The style is modeled after commercial-grade coffeehouse cabinetry and designed to increase open space. Its transitional look works equally well in modern and traditional kitchens.